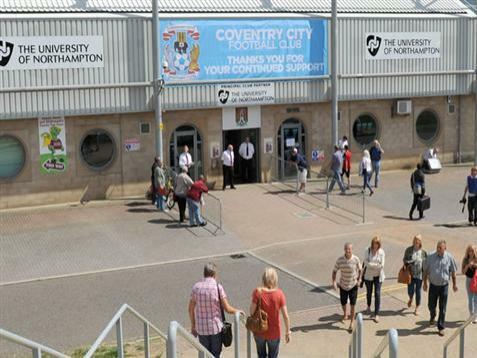 Why Coventry City’s home game against Carlisle United will be on a Thursday. This morning Coventry City and Carlisle United confirmed that the game to be played between the two sides at Sixfields in January had been moved to Thursday, January 23rd 2014, with kick off at 7:45pm. City will travel to Carlisle United for the game at Prenton Park this Saturday but now the return clash has been rescheduled. This afternoon, the Carlisle United managing director John Nixon has explained the decision as to why it will take place on a Thursday evening, rather than a Sunday afternoon like most of the rescheduled fixtures. “I think we’re the last club to agree a fixture date with Coventry City because it’s been quite a complicated situation for us,” managing director John Nixon said. “The original fixture date clashed with a Northampton home game, so it was immediately apparent that it would have to be changed. The option to move it to the Sunday, which other teams have taken, wasn’t really suitable as we play MK Dons at home on the following Tuesday. “Coventry did ask if we could bring the MK Dons fixture forward to earlier in the month, but that would have placed extra financial pressure on our home supporters with a run of games at Brunton Park already due to be played at the end of December and the beginning of January. This fixture date will be reviewed should either team find themselves involved in the fourth round of this season’s FA Cup competition (due to be played weekend of 25/26 January). « Coventry City sign Andrew Webster – but why is he famous?